Sigma was a former Soviet military manufacturer in what now is Moldavia. 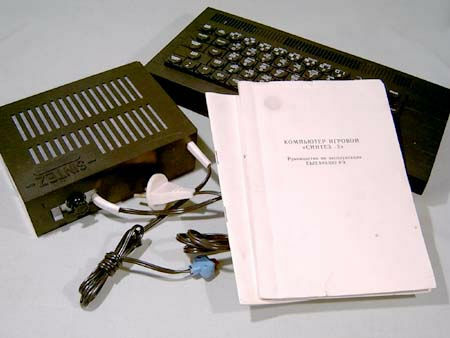 In the late 1980s they converted to civilian production that included some Sinclair clones. The original Sintez. It a rather large clone of the 48K ZX Spectrum. It had a full size keys and came in grey plastic case, but only a few were made before they switched to the Sintez-2 design. A 48K clone made in 1993. It was made in the military plant "Signal". It's compatible with the 48K ZX Spectrum and made to look like a Spectrum+. It has ports for TV and monitor, Kempston and Sinclair joystick, tape and a reset button. RGB and sound can be adjustable right from computer. Probably over one million were made. Many were exported to Russia. The keyboard was reliable and it could be expanded to be 128K compatible, usually they were fitted with 512K or 1Mbyte on 30-pin SIMM and AY or YM sound chip. Sintez-3 was introduced in 1993 and was a 128K clone on a single chip. The design was identical with the Sintez-2 except for the logo. The computer had TR-DOS built in and came with 128K RAM memory. 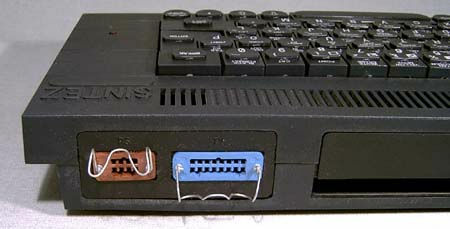 The entire computed consisted of just a single ASIC IC and some capacitors and resistances for ports. Not many bought this computer since by then most people have moved on to NES clones such as the Moldavian "Teddy" and during 1998-2000 virtually all classic 8 and 16-bit computers was bought by Turkish businessmen for the gold and other precious metals in Soviet electronic components.